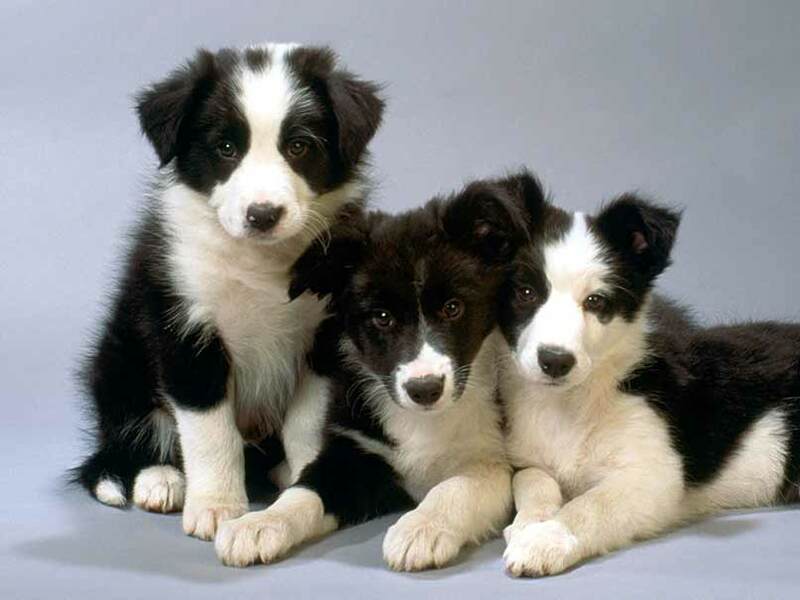 Border Collies were originally bred to herd sheep on the Scottish marches, with the name ‘collie’ thought to come from the old Celtic word for useful. The average lifespan of a Border Collie is 12 years. Border Collies are very highly strung. Because they were originally bred to be sheepdogs, they are energetic and like to be kept busy. They have an inbuilt urge to herd, which can manifest itself as chasing or attempting to round up other pets, small children, or cars. They are very intelligent: picking up training quickly and responding to subtle commands. They can also be very noisy: enjoying barking and digging. To combat this, they need lots of mental and physical stimulation, which you will need to consider very carefully, to ensure you can cater to their needs. Because they have boundless energy, Border Collies need a lot of exercise. If your idea of a great pet is one happy to curl up on the sofa and doze with, a Border Collie is not the dog for you. They are great at competitive canine disciplines such as obedience and agility – which helps to provide them with the physical and mental stimulation they require. Border Collies can be prone to Progressive Retinal Atrophy (PRA). This consists of a slow disintegration of the retina. Dogs initially only become night-blind, but this progresses to blindness in the daytime too. Unfortunately there is no cure or treatment for the disease, but dogs can adapt well to progressive blindness and perform normally in their environment. It’s only when the furniture is rearranged or they are in unfamiliar surroundings that blindness may be more evident. Another eye disease that Border Collies can suffer from is Collie Eye Anomaly (CEA). This is inherited from the parent/s, and symptoms include the eyeballs being smaller than normal, the eyes may be more sunken into the sockets and the eyes may look cloudy. It can lead to blindness and unfortunately there is no cure. This is a hereditary disease where the ball and socket of the hip joint is malformed – resulting in the ball and socket not fitting snugly together and subsequently grinding and rubbing against each other – resulting in pain and discomfort. This sometimes manifests itself as limping or lameness, but symptoms aren’t always apparent. Depending on the severity of the disease – treatment ranges from medical management including exercise, hydrotherapy, anti-inflammatories and pain medication to surgery. Do you have a Border Collie? What are your experiences of this intelligent dog? Is My Cat Angry with Me?